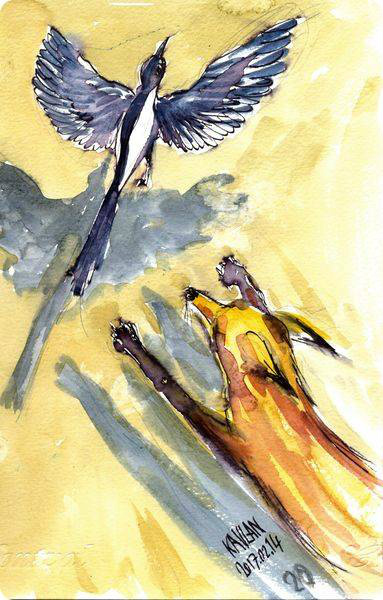 The fox rushes to the magpie on the ground. Too late! The birds on top of the cistern have already given a warning.